Nine generations of accomplished and passionate artisans and technicians have passed down their skills and love for the craft. Nowadays, numerous stages of our production are still made by hand, safeguarding the precision of the gesture and the beauty of the object. We define ourselves as manufacturers because this is what we do. We are continually demonstrating technical innovation, creativity and ingenuity. We benefit from ultra-performing production equipment as well as a very sophisticated production process. 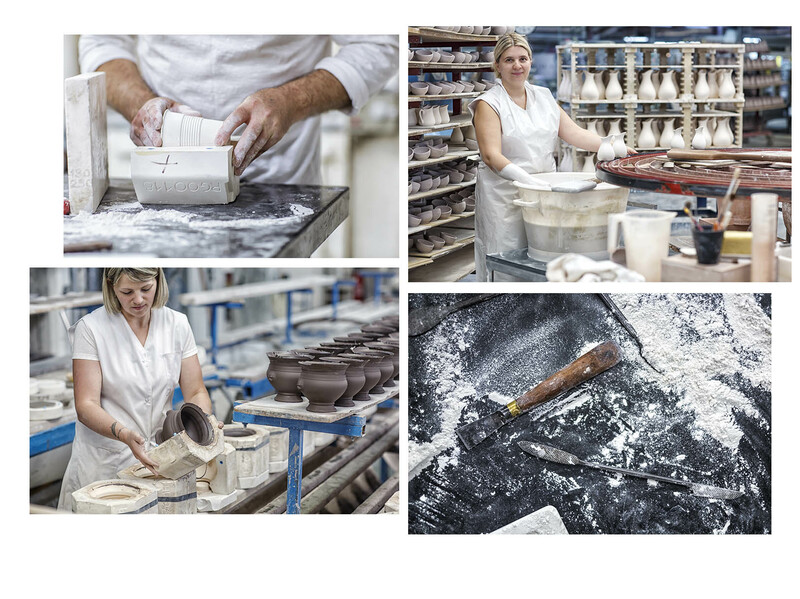 The ingredients, essential to the manufacture of Revol’s culinary porcelain, are all carefully selected: clay, quartz, feldspar and kaolin are carefully combined in a unique composition called “barbotine.” We are one of the last remaining porcelain makers in France, and one of the few in the world, to make our own clay. This allows us to better adapt it to various manufacturing processes. In our internal design office, and in partnership with outside designers, we design our own models and molds of production.